Click on picture (above) to visit movie website. Panicked pianist and crooner Sam Johnson finds himself in a Chicago hotel with his emotionally hungry, crazed fashion model daughter Julie, who in her stupor mistakes him for her lover. Trapped between the righteous cops and a malicious Mob family, Sam and Julie have become desperate pawns. In return for the chance to be discovered, Sam becomes a conduit, willingly passing along information to the Montreal family but when he becomes an accessory to an attempted murder – the cops take notice. 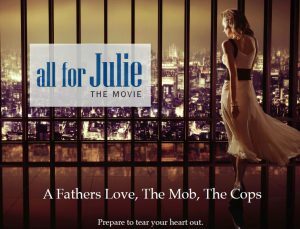 Meanwhile Julie, now a stunning young woman, is recruited into the ridiculously demanding world of NYC fashion and subsequently develops a life-threatening substance abuse problem, and inadvertently falls into the clutches of the New York mob with ties to her father. Previous PostMPC Needs Your Help!